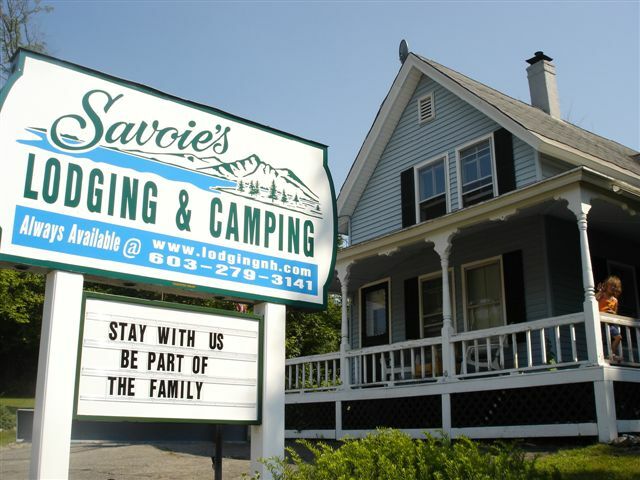 At Savoie's Lodging we have 4 motel rooms and 13 cabins and we are located in the great lakes region in NH. Our Center Harbor location is available for functions so, if you want to throw a big party, whether it's a wedding, anniversary or birthday party, we have just the place for you! At Savoie's Lodging our goal is to make your vacation in the NH Lakes Region one you will want to repeat each and every year! Every season is special in this area and we are located in the heart of it all. 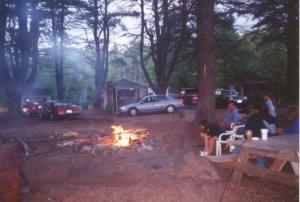 Savoie's Lodging & Camping have a great location to serve you, Rte. 3 in Center Harbor, NH. With Lake Winnipesaukee and the famous Squam Lakes both just minutes away, there is plenty of things to do and see for people of all ages in this great area of New Hampshire. If you wanted to bring your boat to go boating on Lake Winnipesaukee or Squam lake we have room for your boat on our property when you are not out on the lake. Visit us in the winter and stay in our motel and hit the trails on the snowmobiles. With main trails right from the property your destination is up to your imagination. The World Famous Laconia NH Bike Week is held every year in June. The dates for 2016 are June 10-19. We would like you to come and stay with us and enjoy the family atmosphere but we do fill up fast so we encourage you to make your reservations early so please click here. Weirs Beach is just minutes away and the area has a great selection of fun summer time activities such as boating, boat rentals, fishing, restaurants, bowling, video arcades, swimming, scenic excursion cruises, water slides, go-carts, and mini golf and much, much more! Stay with us for the NASCAR races in Loudon, NH at the New Hampshire Motor Speed way in July and September. For more details please view our NASCAR link. Our rooms have been refurbished and are very clean and comfortable. Each motel room is air conditioned and has a color TV with cable. 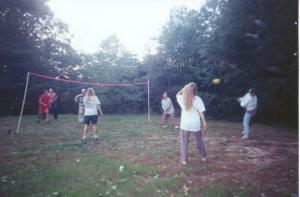 There are lawn games available such as horse shoes, bad mitten and more. In the evening we invite you to sit down, relax and enjoy the warmth by our nightly campfire. 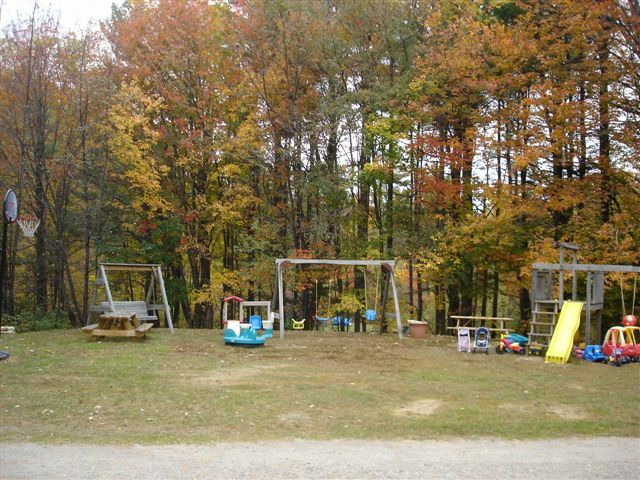 family vacation in the fantastic NH Lakes Region or Click Here for Reservations.